Does Stress Affect Everyone the Same? How Can I Keep a Positive Attitude? How Can I Reduce My Stressors? Medical researchers aren't sure exactly how stress increases the risk of heart disease. Stress itself might be a risk factor, or it could be that high levels of stress make other risk factors (such as high cholesterol or high blood pressure) worse. For example, if you are under stress, your blood pressure goes up, you may overeat, you may exercise less, and you may be more likely to smoke. If stress itself is a risk factor for heart disease, it could be because chronic stress exposes your body to unhealthy, persistently elevated levels of stress hormones like adrenaline and cortisol. 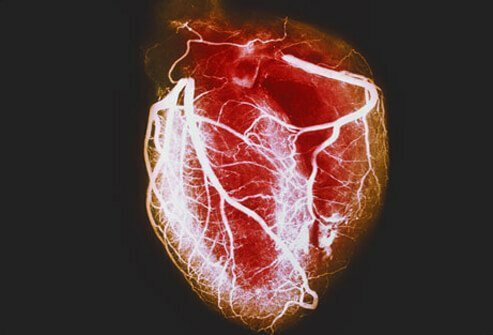 Studies also link stress to changes in the way blood clots, which increases the risk of heart attack. No. People respond in different ways to events and situations. One person may find an event joyful and gratifying, but another person may find the same event miserable and frustrating. Sometimes, people may handle stress in ways that make bad situations worse by reacting with feelings of anger, guilt, fear, hostility, anxiety, and moodiness. Others may face life's challenges with ease. We're born with the instinct to relax and sleep when our bodies or minds need a break. Over the years, it becomes necessary to control and even suppress these natural urges to rest, since we must remain alert as we attend school, learn professions, go to work, or care for a family. Many people spend years conditioning themselves to perform well despite feelings of tiredness. While no one would argue that suppressing tiredness can be a necessary skill, it can impair our ability to actually "let go" and relax when we do find the time. Stress can be caused by a physical or emotional change, or a change in your environment that requires you to adjust or respond. Things that make you feel stressed are called "stressors." Illness, either personal or of a family member or friend. Problems in a personal relationship. When you are exposed to long periods of stress, your body gives warning signals that something is wrong. These physical, cognitive, emotional and behavioral warning signs should not be ignored. They tell you that you need to slow down. If you continue to be stressed and you don't give your body a break, you are likely to develop health problems like heart disease. You could also worsen an existing illness. Below are some common warning signs and symptoms of stress. After you've identified the cause of stress in your life, the next step is to learn techniques that can help you cope with stress while fighting heart disease. There are many techniques you can use to manage stress. Some of which you can learn yourself, while other techniques may require the guidance of a trained therapist. Eat and drink sensibly. Abusing alcohol and food may seem to reduce stress, but it actually adds to it. Assert yourself. You do not have to meet others' expectations or demands. It's OK to say "no." Remember, being assertive allows you to stand up for your rights and beliefs while respecting those of others. Stop smoking. Aside from the obvious health risks of cigarettes, nicotine acts as a stimulant and brings on more stress symptoms. Relax every day. Choose from a variety of different techniques (see below). Reduce causes of stress. Many people find life is filled with too many demands and too little time. For the most part, these demands are ones we have chosen. Effective time-management skills involve asking for help when appropriate, setting priorities, pacing yourself, and taking time out for yourself. Examine your values and live by them. The more your actions reflect your beliefs, the better you will feel, no matter how busy your life is. Set realistic goals and expectations. It's OK, and healthy, to realize you cannot be 100% successful at everything all at once. Get enough rest. Even with proper diet and exercise, you can't fight stress effectively without rest. You need time to recover from exercise and stressful events. The time you spend resting should be long enough to relax your mind as well as your body. Some people find that taking a nap in the middle of the day helps them reduce stress. Stay calm. Stop what you're doing. Breathe deeply. Reflect on your choices. Always tell yourself you can get through the situation. Try to be objective, realistic and flexible. Try to keep the situation in perspective. Think about the possible solutions. Choose one that is the most acceptable and feasible. Tell yourself that you can learn something from every situation. First identify the stressor. What's causing you to feel stressed? Avoid hassles and minor irritations if possible. If traffic jams cause you stress, try taking a different route, riding the train or bus, or car-pooling. When you experience a change in your life, try to continue doing the things that you enjoyed before the change occurred. Learn how to manage your time effectively, but be realistic and flexible when you plan your schedule. Do one thing at a time; concentrate on each task as it comes. Take a break when your stressors compile to an uncontrollable level. Ask for help if you feel that you are unable to deal with stress on your own. In order to cope with stress, especially if you have heart disease, you need to learn how to relax. Relaxing is a learned skill -- it takes commitment and practice. Relaxation is more than sitting back and being quiet. Rather, it's an active process involving techniques that calm your body and mind. True relaxation requires becoming sensitive to your basic needs for peace, self-awareness, and thoughtful reflection. The challenge is being willing to meet these needs rather than dismissing them. Deep breathing. Imagine a spot just below your navel. Breathe into that spot, filling your abdomen with air. Let the air fill you from the abdomen up, then let it out, like deflating a balloon. With every long, slow exhalation, you should feel more relaxed. Progressive muscle relaxation. Switch your thoughts to yourself and your breathing. Take a few deep breaths, exhaling slowly. Mentally scan your body. Notice areas that feel tense or cramped. Quickly loosen up these areas. Let go of as much tension as you can. Rotate your head in a smooth, circular motion once or twice. (Stop any movements that cause pain!) Roll your shoulders forward and backward several times. Let all of your muscles completely relax. Recall a pleasant thought for a few seconds. Take another deep breath and exhale slowly. You should feel relaxed. Guided Imagery. Guided imagery, or mental imagery relaxation, is a proven form of focused relaxation that helps create harmony between the mind and body. Guided imagery coaches you in creating calm, peaceful images in your mind -- a "mental escape." Identify your self-talk, that is, what you are saying to yourself about what is going on with your illness or situation. It is important to identify negative self-talk and develop healthy, positive self-talk. By making affirmations, you can counteract negative thoughts and emotions. Relax to music. Combine relaxation exercises with your favorite music. Select the type of music that lifts your mood or that you find soothing or calming. Some people find it easier to relax while listening to specially designed relaxation audio tapes, which provide music and relaxation instructions. Biofeedback. Biofeedback helps a person learn stress-reduction skills by using various instruments to measure temperature, heart rate, muscle tension, and other vital signs as a person attempts to relax. The goal of biofeedback is to teach you to monitor your own body as you relax. It is used to gain control over certain bodily functions that cause tension and physical pain. If a headache, such as a migraine, begins slowly, many people can use biofeedback to stop the attack before it becomes full blown. Yoga. Many types of yoga teach you how to relax while also helping posture and flexibility. Consult with your doctor before starting a yoga program. Once you find a relaxation method that works for you, practice it every day for at least 30 minutes. Taking the time to practice simple relaxation techniques gives you the chance to unwind and get ready for life's next challenge. Can What I Eat Help Fight Stress? Your body is able to fight stress and heart disease better when you take the time to eat well-balanced meals. Eat a variety of foods each day, including lean meats, fish, or poultry, enriched or whole grain breads and cereals, fruits and vegetables, and low-fat dairy products. About 55%-60% of your daily intake of calories should come from carbohydrates, no more than 25%-30% from of your caloric intake should come from fat and 10%-15% should come from protein. Eat a wide variety of healthy foods. Eat in moderation -- control the portions of the foods you eat. Reach a healthy weight and maintain it. Eat at least 5 to 9 servings of fruits and vegetables per day. Eat food that is high in dietary fiber such as whole grain cereals, legumes, and vegetables. Minimize your daily fat intake. Choose foods low in saturated fat and cholesterol. Limit your consumption of sugar and salt. Combine healthy eating habits with a regular exercise program. Establish a regular sleep schedule. Go to bed and get up at the same time every day. Use your bedroom for sleeping only; don't work or watch TV in your bedroom. Talk to your doctor before taking any sleeping aid. Take diuretics or "water pills" earlier, if possible, so you don't have to get up in the middle of the night to use the bathroom. If you can't sleep, get up and do something relaxing until you feel tired. Don't stay in bed worrying about when you're going to fall asleep. Don't exercise within two to three hours of bedtime. 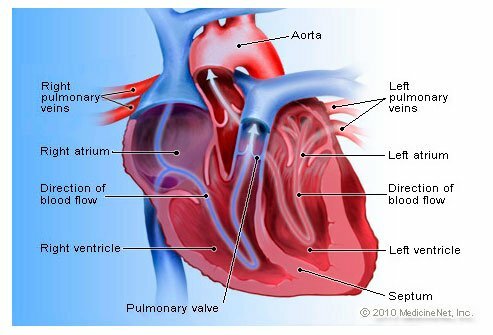 What is atrial fibrillation? Learn how to making living with atrial fibrillation (AFib) easier. Explore tips that can help you manage an irregular heartbeat.